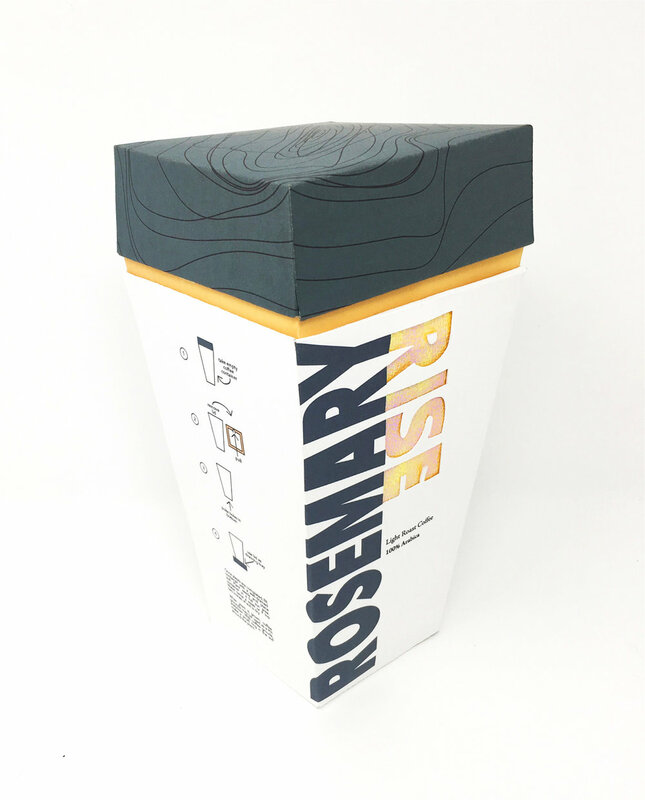 Rosemary Rise is a coffee brand with a twist. 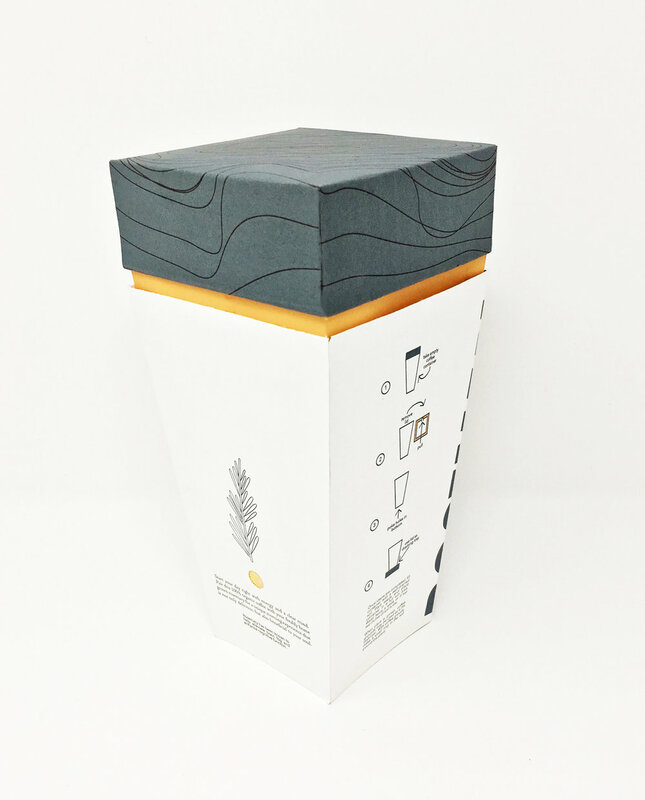 Included in the packaging are rosemary seeds that can later be planted and grown inside the coffee container itself. Once grown, the rosemary plant can be used to create a special coffee drink called the Rosemary Rise. Rosemary has been known to help alleviate brain fog and enhance cognitive function. Accompanied by coffee's caffeine boost, what better way is there to start the morning? Plus, it tastes great! "Once steps are completed, fill container with a well-drained soil. Plant seeds and place container in a full sun area. Water twice a week or if top two inches of soil is dry." "When plant is grown, coffee grounds may be used as PH stabilizer. With coffee grounds, make a small ring in the soil around the plant." "Start you day right with energy and a clear mind. 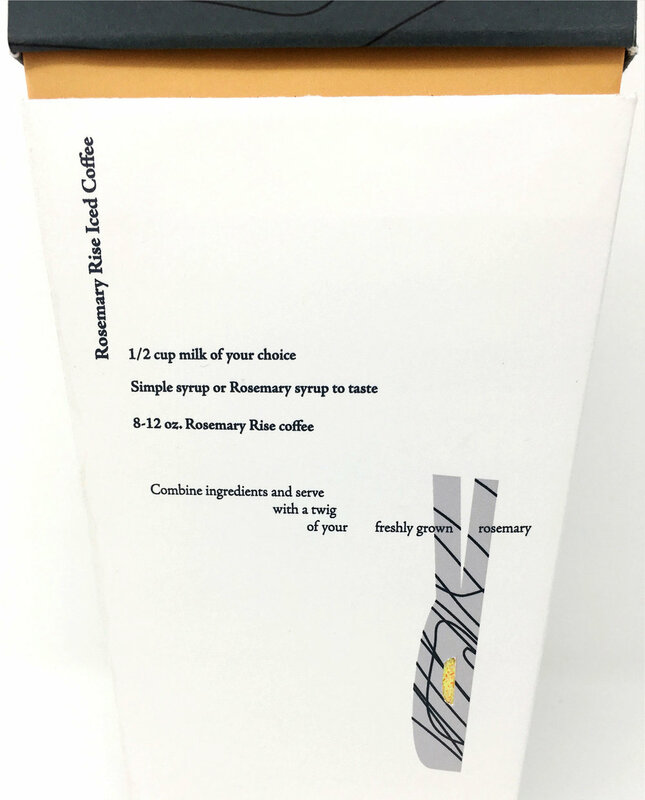 Pair this 100% organic coffee with your freshly home grown rosemary for a unique morning experience that is not only delicious, but also beneficial to your soul." "Rosemary has been known to help alleviate bran fog and enhance cognitive function." Rosemary simple syrup can be added to the coffee to make a Rosemary Rise drink.